Fantastic and Creative POLICE PARADE In Rome Is Just PERFECT! If you are under the impression that the police are tough and brutal men, then this police parade footage meant only for you! 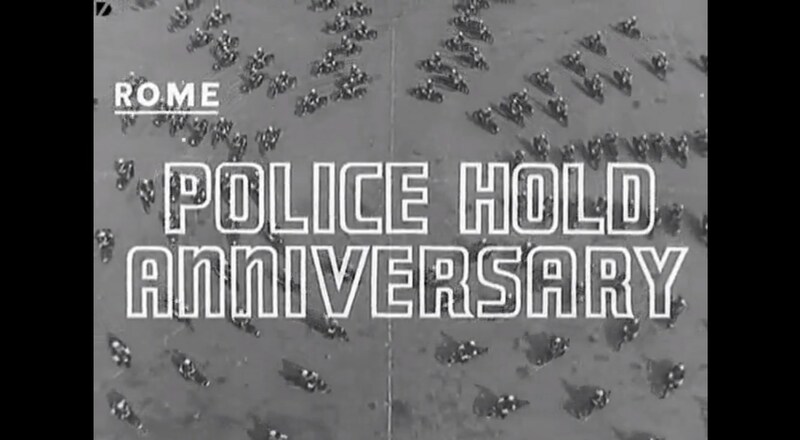 This event takes place in Rome in the previous century, where a group of policemen perform something rather peculiar for the police anniversary. Much to the enjoyment of everyone in the crowd, these police officers perform spectacular moves which will leave you breathless. They ride in perfect symmetry, proving the fact that unity and cooperation does pay off. All sorts of shapes and patterns are performed and it raises the question about how long it took them to get ready in order to perform it in such impeccable manner. This will come as a rather big surprise to most, bearing in mind that not any would think that policemen are capable of anything more than being brutal and tough. But it certainly is an eye-opener to find out that they, too, are people with many talents and capabilities. By being synchronized like busy bees, they also prove that with hard work and discipline you can achieve anything you want. So, Rome police from the 20th century, we salute you, good sirs! Finally, click here to make a comparison of this police parade with the one that was organized in Berlin, Germany in 1957. A dear friend and long time volunteer of the rally emailed this to us this morning. How cool is this!